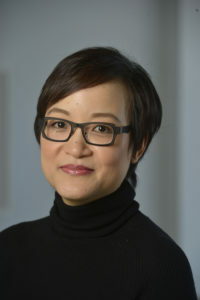 Ruth Chang is currently a Professor of Philosophy at Rutgers University, New Brunswick and will be shortly taking up the Chair in Jurisprudence at Oxford University in Oxford, England where she hopes to create a multi-disciplinary research hub for decision-making and choice. She has a Ph.D. from Balliol College, Oxford and a J.D. from Harvard Law School and has held visiting fellowship positions at Harvard, Stanford, and Princeton. Her expertise concerns philosophical questions relating to the nature of value, value conflict, decision-making, rationality, the exercise of agency, and choice. Her work has been the subject of interviews by various media outlets in the U.S., Canada, the U.K., Germany, Taiwan, Australia, Italy, Israel, Brazil, New Zealand, and Austria, and she has been a consultant or lecturer for institutions ranging from video gaming and pharmaceuticals to the CIA and World Bank. Her TED talk on decision-making has nearly 6 million views. Christian Fankhauser is a trained biologist and received his PhD from the University of Lausanne in 1994 after carrying out his thesis at the Swiss Institute for Experimental Cancer Research in the laboratory of Dr. Viesturs Simanis. During his PhD he focused on different stages during cell division, including cytokinesis, nuclear division and septum formation. Christian then moved to the United States and started his research on plant development and growth in collaboration with Dr. Marty Yanofsky at University of California San Diego followed by Dr. Joanne Chory at The Salk Institute for Biological Studies in San Diego. During that time, he discovered his passion for plant development, in particular the effect of light on a plant´s life cycle. In 2004, he was assigned a Swiss National Science Foundation Assistant Professor at the Department of Molecular Biology of the University of Geneva in 2000 supervising his own group. In January 2005 he joined the Center for Integrative Genomics where he was appointed associate professor and was promoted to full professor in 2011. Today, his research focuses on the effect of light environment on life cycle transitions of a plant. In order to capture ambient light and facilitate growth, plants evolved several classes of photoreceptors including UV-A/blue light sensing cryptochromes and red/far-red light absorbing phytochromes. This combination of photoreceptors allows plans to fine-tune their development. His group uses molecular genetics in the model plant Arabidopsis thaliana to decipher the signaling events occurring upon photon capture. 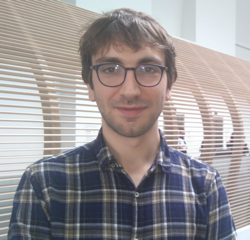 Laurent Frantz is a Lecturer in Molecular Genetics and Informatics in the Department of Organismal Biology at Queen Mary University of London and a Junior Research Fellow at the Research Laboratory for Archaeology and the History of Art at the University of Oxford. His research focuses on evolutionary biology and genomics, especially on speciation, domestication and conservation of a variety of species including ungulates and canids. During his PhD, Laurent collaborated with Martien Groenen of the Animal Breeding and Genomics Group of Wageningen University in the Netherlands. His thesis focused on the evolution of suiformes. Suiformes represent a very successful species inhabiting diverse habitats (i.e. from tropical Islands to the Himalayas) and are especially interesting for evolutionary biologists due to the ease with which many lineages continue to hybridize. After moving to Oxford he started working on the geographic and temporal origin of domesticated dogs and chicken. Currently, Laurent focuses on using ancient genomes to answer question related to the origin of dogs, the evolutionary history of canids, and the domestication process in pigs. 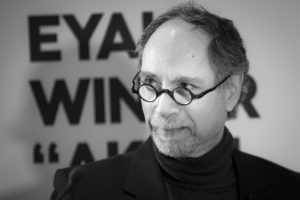 Eyal Winter is the Silverzweig Professor of Economics at the Hebrew. He is specializing in behavioral economics, Decision Making and in Game Theory. He is a member of the Center for the Study of Rationality and headed the center for four years. Winter was awarded the Humboldt Prize for excellence in research by the German government in 2011. He is an elected council member of the International Game Theory Society, and an elected fellow of the Economic Theory Society. Winter held senior positions at Washington University and the European University Institute. His book “Feeling Smart: Why our Emotions are More Rational than We Think” appeared in 2015. The book appeared in seven languages and was endorsed by seven Nobel laureates. His papers appeared in Econometrica, AER, Review of Economics Studies, APSR, JET, Management Science, Psy Science and more. His press essays appeared in Time Magazine, Forbes, Los Angeles Times, Washington Post, Guardian, the Independent, Jewish Chronicle, Haaretz and more. He has advised governments and corporations on behavioral economics and decision making including Microsoft and Google. 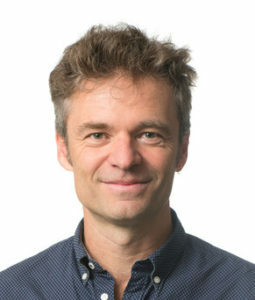 Michael Brecht is a professor at the department of Systems Neurobiology and Neural Computation at the Bernstein Center for Computational Neuroscience (BCCN) in Berlin. His research interests lie in understanding how single cells behave in the systemic context of the brain. Michael has been studying the neuronal basis of behavior since researching his diploma thesis at the University of California. He did his PhD in the lab of Wolf Singer at the Max Planck Institute for Brain Research in Frankfurt where he investigated temporal coding in the midbrain of cats. From 1999 to 2004, he led an independent research group in the department of Bert Sakmann at the Max Planck Institute for Medical Research in Heidelberg. After completing his habilitation thesis in 2004, he moved to the Neuroscience Department of the Medical Center in the Erasmus University Rotterdam as an assistant professor. Currently his research group is focused on the analysis of cellular mechanisms underlying sensorimotor integration, using the active touch/vibrissal system of rats as a research model. In order to better understand the systemic performance of active touch mediated by the vibrissae they investigate multiple brain structures and their investigations range from intracellular recordings to the analysis of behavioral performance including playful behaviors (e.g. tickling). They combine in vivo whole-cell recordings and modern microcopy technologies (e.g. two-photon microcopy) in freely moving animals. 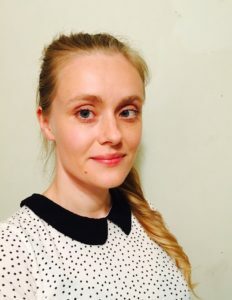 Laura Mančinska is an Associate Professor in Mathematical Physics and Quantum Information Theory at the Department of Mathematical Sciences, University of Copenhagen. Her research falls, broadly speaking, within the area of quantum information and computing, a field formed at the intersection of mathematics, computer science, and physics. She has also worked on automata theory and bioinformatics. Laura did her PhD degree in Quantum Information from the Department of Combinatorics and Optimization at the University of Waterloo, Canada. During her graduate studies she was affiliated with the Institute for Quantum Computing. Currently her main research interest is nonlocal games. In physics they appear as Bell inequalities while in computer science they correspond to interactive proof systems. She is especially interested in the amount of entanglement the players need in order to reach or approach optimal performance. 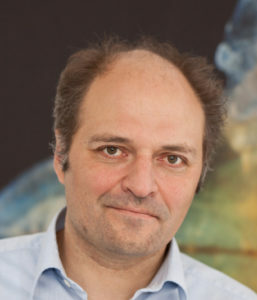 David Scaramuzza is Professor of Robotics and Perception at the departments of Informatics (University of Zurich) and Neuroinformatics (University of Zurich and ETH Zurich), where he does research at the intersection of robotics, computer vision, and neuroscience. Specifically, he investigates the use of standard and neuromorphic cameras to enable autonomous, agile, navigation of micro drones in search-and-rescue scenarios. David did his PhD in robotics and computer vision at ETH Zurich and a postdoc at the University of Pennsylvania. From 2009 to 2012, he led the European project sFly, which introduced the PX4 autopilot and pioneered visual-SLAM-based autonomous navigation of micro drones. For his research contributions in vision-based navigation with standard and neuromorphic cameras, he was awarded the IEEE Robotics and Automation Society Early Career Award, the SNSF-ERC Starting Grant, a Google Research Award, KUKA, Qualcomm, and Intel awards, the European Young Research Award, the Misha Mahowald Neuromorphic Engineering Award, and several conference paper awards. 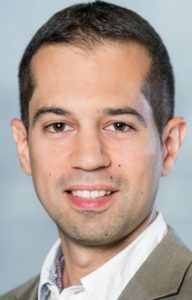 In 2015, he co-founded a venture, Zurich-Eye, dedicated to the commercialization of visual-inertial navigation solutions for mobile robots, which later became Facebook-Oculus Switzerland and Oculus’ European research hub. He was also the strategic advisor of Dacuda, an ETH spinoff dedicated to inside-out VR solutions, which later became Magic Leap Zurich.